Antibiotics, the synthetic ones, are most prescribed ‘medicine‘ nowadays. Due their excessive use, many people have ruined their digestive system and believe it or not, lower their immunity to infections. This overuse of antibiotics, like we said, lead people to lower resistance to infections, and due this low resistance, almost 2 million people in America only, have been affected by bacterias which are antibiotic-resistant, bacterias such Neisseria gonorrhoeae and Streptococcus pneumonia, fluconazole-resistant Candida etc. and almost 10 percent of those people suffer huge health consequences and even death as a result. But, when we say ‘antibiotics‘, most of the people first think about synthetic antibiotics of course, but, what about the natural ones, the antibiotics which are given to us from mother nature? To deal with health issues such as, chest congestion, benign problems, viral infections or very often cold or flu, you can always go for natural antibiotics. Honey is one of the healthiest natural foods. Raw honey possess amino acids, B-vitamins, minerals, enzymes, antioxidants, pollen and protein, antimicrobial compounds and much more. Bee pollen and propolis strengthen the immunity and help to the body to heal faster. Raw honey also treat MRSA (methicillin-resistant Staphylococcus aureus) and the most palatable antibiotic comes in the form of manuka honey. 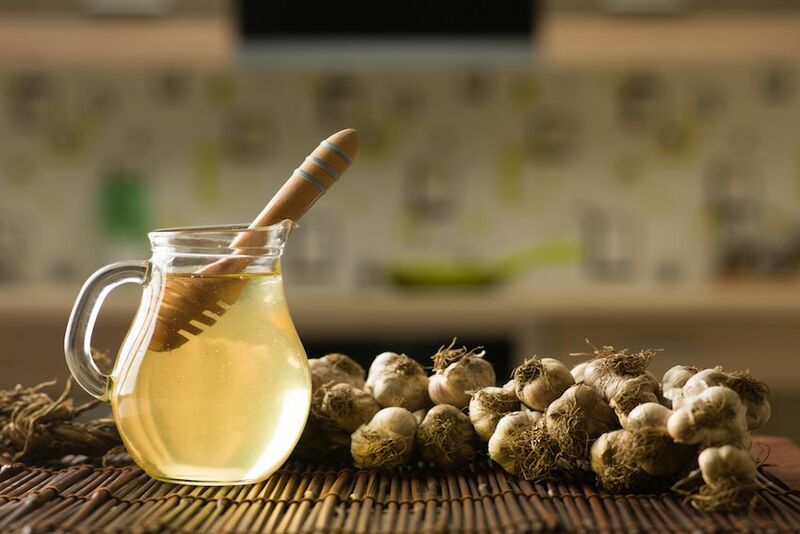 This type of honey, which contain highest amount of methylglyoxal (organic compound), provides mighty antimicrobial effect that can easily treat MRSA and also it can kill a wide range of pathogens. Definitely the most powerful natural antibiotic. This powerful natural antibiotic it’s about one-fiftieth powerful as penicillin. Garlic as a medicine has been used all around the world for thousands of years. Garlic possess antifungal, antiviral properties and antimicrobial properties. This amazing plant from Allium (onion) family is very high in natural antioxidants also, antioxidants that destroy free radicals and this way promotes a strong immune system. The key component that kills harmful bacteria and ward the organism from them is allicin, which is organosulfur compound. To activate these compounds in fresh garlic, just crush it and eat it raw or add it in a warm (not hot) tea. Also, it may be added in lightly cooked food of course. Did you know that Allicin (organosulfur compound) exists only in raw garlic. Extremely healthy and beneficial for our health is oregano oil. Beside for cooking, this medicinal herb has been used in medicine for thousands of years. Oil of oregano is proven to be more effective than some antibiotics, plus, it’s completely natural and it’s without any harmful side effects. Oregano oil has antibacterial, antiviral and antifungal properties and it’s recommended for treating colds and flu. You can consume oregano oil in capsule, and depends from health problem and stage, you will need starting from from 1 capsule (500mg) per day, up to 3 capsules (500mg) per day in separate doses. Also, you can dilute 1-2 drops of oregano oil in a teaspoon of olive or coconut oil. Echinacea herb is one of the the most amazing antibacterial and anti-inflammatory remedies. This herb is used to treat a wide variety of infections for hundreds and hundreds of years. Traditionally, since it has antibacterial, antiviral and antiseptic properties, it was used to treat open wounds, diphtheria, blood poisoning from snakes and also many bacterial related illnesses. Today, this amazing herb mostly is used for colds and flu, due to its ability to destroy the most forms of bacteria such as staphylococcus aureus for example. Beside being rich source for healthy fats, coconut oil is also an excellent antibiotic and thanks to lauric acid, capric acid and caprylic acid, coconut oil acts as antimicrobial agent. Coconut oil possess antiviral, antifungal and antibacterial properties of the medium chain fatty acids and is excellent against bacteria, fungi, yeast, enveloped viruses and can very quickly deal with certain health issues such as Staphylococcus aureus (coccal bacterium) or atopic dermatitis (eczema). What Will Happen If We Drink Warm Water On An Empty Stomach Each Day?